Hawaii is awesome. It’s beautiful, epic, and exploding with adventure, both figuratively, and literally. And with amazing weather year-round, Hawaii is a destination that never seems to have an off-season. While most visitors spend their time on some of the more lush islands like O’ahu, Kauai or Maui (You’re welcome! ), our favorite Hawaiian island is the State’s namesake, Hawaii, or more commonly known as the Big Island. 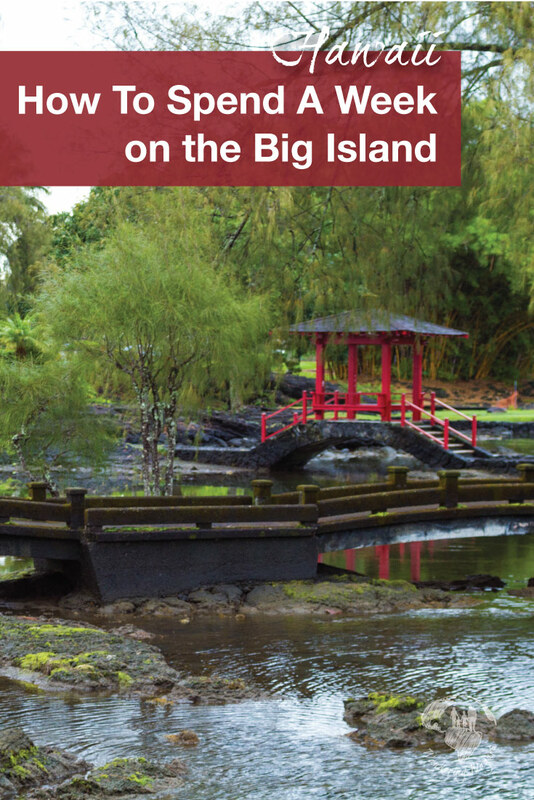 Those who spare the time to experience a 7 day Big Island itinerary will be begging to come back. The Big Island of Hawaii is rough, rugged, and perfect for adventure travel. It is the youngest of the Hawaiian islands, and its incredibly active volcanoes ensure that the island is in a continual state of flux. New land is being created here almost every day. 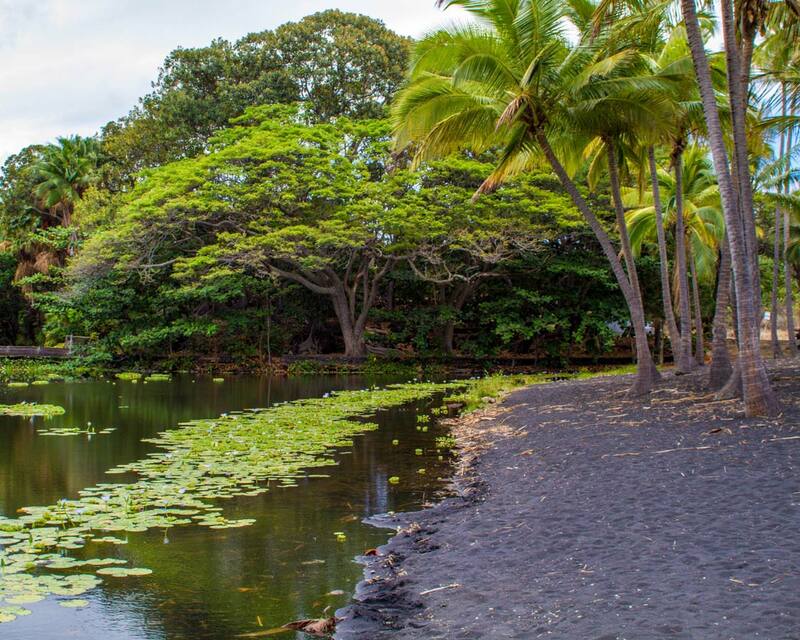 You could easily spend two weeks or more exploring the Big Island, but it’s not always easy to find that kind of time. A 7 day Big Island itinerary is much more manageable for most travelers, and we were no different. And while most people who travel to the Big Island arrive in the town of Kona, we, on the other hand, visited the US from Toronto, connected through Oahu and arrived on the other side of the Big Island in the town of Hilo. Most planes into the Big Island arrive at lunchtime or later. By the time we had sorted out our car rental and booked into the Hilo Bay Hostel, most of the day was behind us. Luckily Hilo is a cool town to explore after sunset. 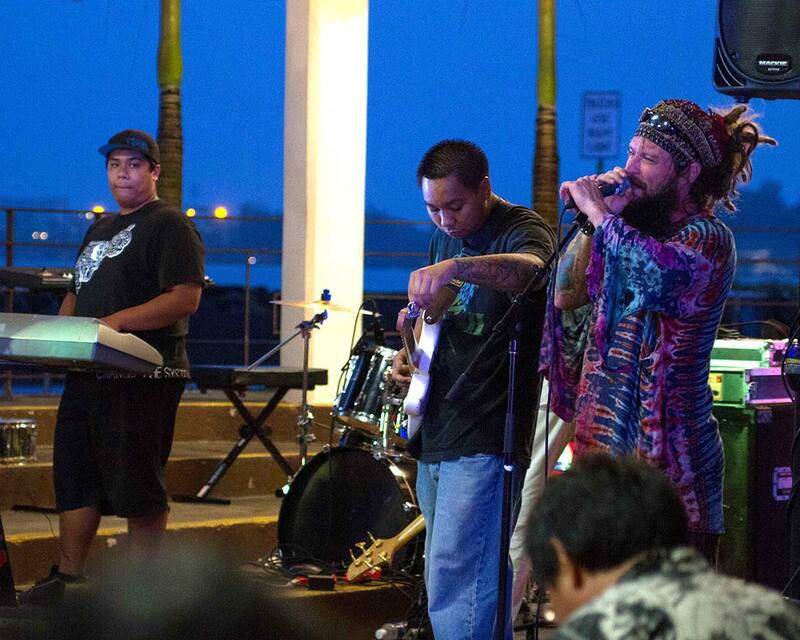 There are great coffee shops, and the local music scene is often in full effect throughout the town. Our first full day on the Big Island was packed full of incredible sights. We rose early and couldn’t wait to hit the road to see what the Big Island had in store for us! After breakfast, we made a stop at the nearby Liliuokalani Gardens. 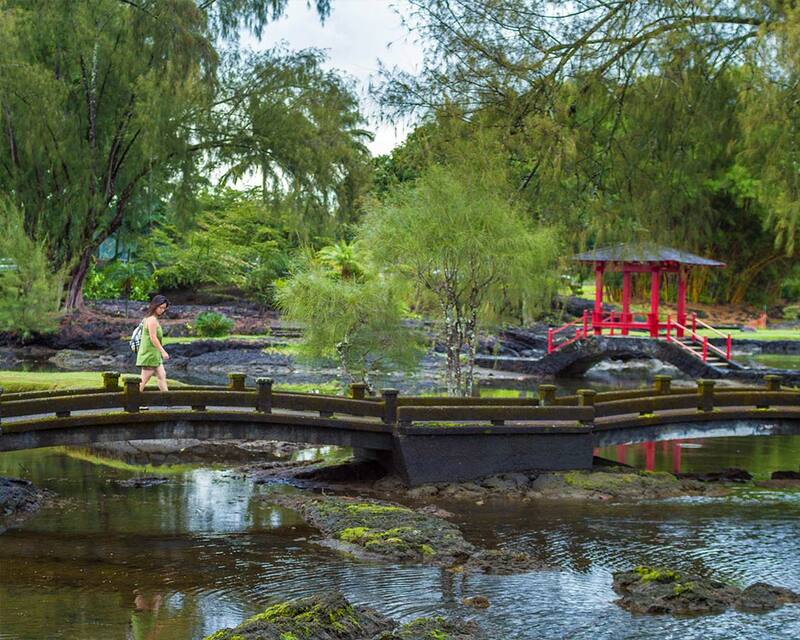 This beautiful Japanese garden was the perfect place to get ourselves centered before our road trip through the Big Island Hawaii. When we finished exploring we left on a scenic drive that brought us to Rainbow Falls, Akaka Falls, and Pee’Pee’e Falls. But all that was just in preparation for the spectacular lookout over the Waipio Valley. 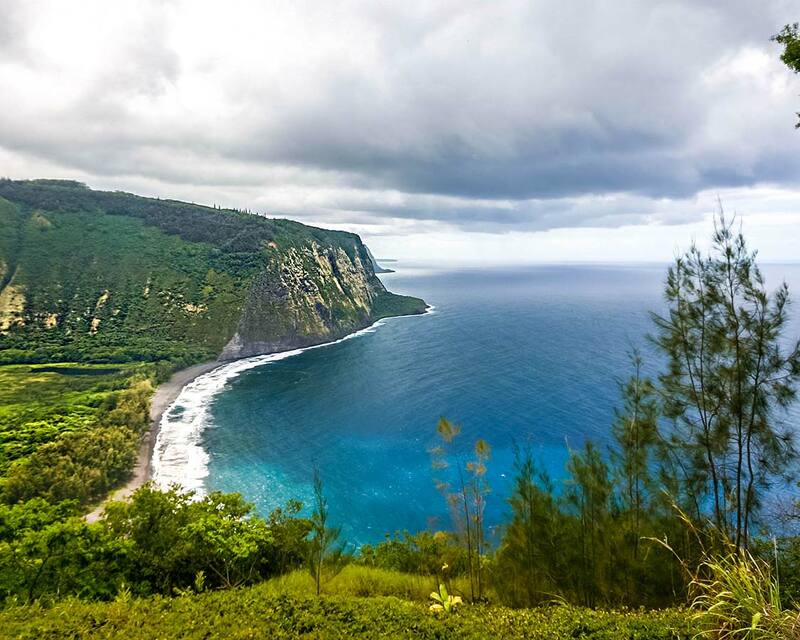 Waipio Valley is a gorgeous canyon cut by the river of its namesake, which means “Curved Water”. For a long time this was the home of the Hawaiian Kings, however, now it is just filled with beautiful hikes and lush landscapes. 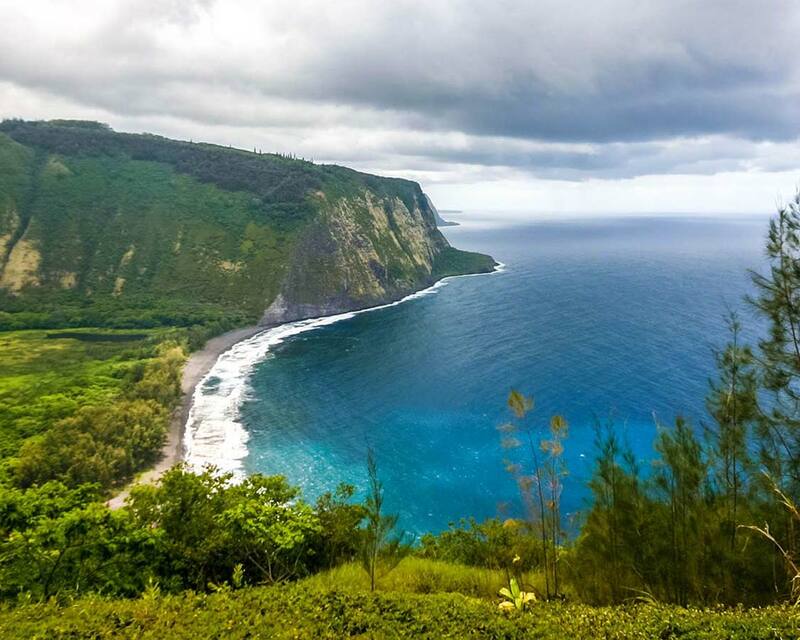 Although hiking the Waipio Valley is incredible, many visitors often show up just for the view. And it will not disappoint! After tearing our eyes off of the beautiful view we made our way through the valley for some hiking before moving on through the middle of the Big Island towards Mauna Kea. As we arrived at the base of Mauna Kea and saw the long, steep dirt road up the mountain, we wondered if this was the best decision. We hadn’t really researched this location, but I knew there were observatories at the top, and I am a total geek for space stuff. So we started making our way up toward the Mauna Kea Visitor Information Center. This is the point where it’s recommended that visitors stop for an hour to acclimate. When we finally reached the summit, we were blown away. We spent some time hiking the summit. And then stayed until sunset before heading down. And boy, the sunsets were amazing. In the dark, we made our way to the town of Kona to settle down for the night. 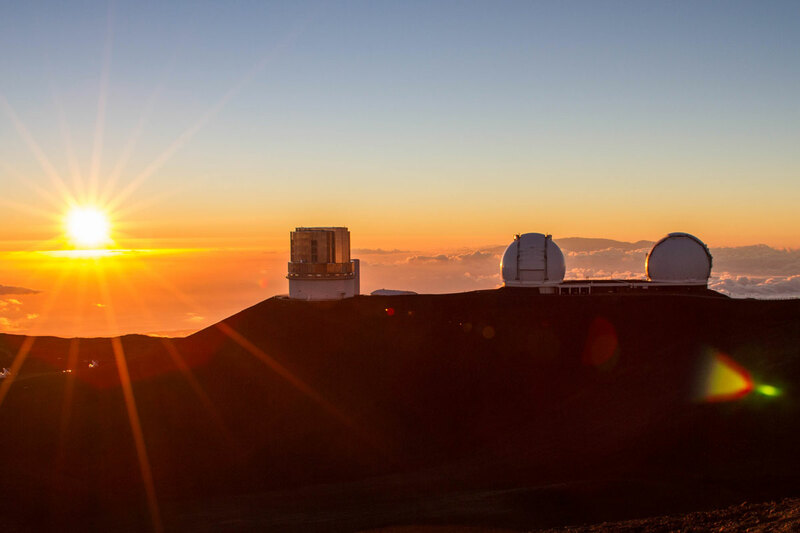 You can read more about what to do on the summit of Mauna Kea here. After an amazing night in the Kona Tiki Hotel, we made our way south for what would prove to be an amazing day. 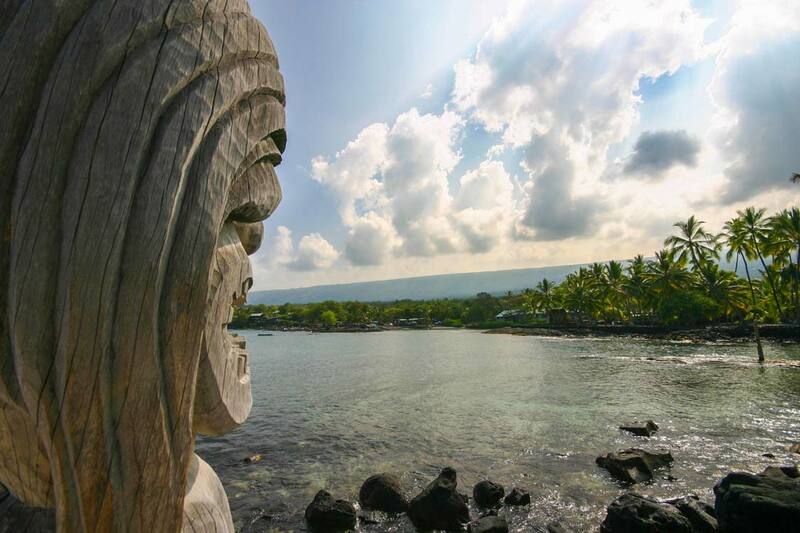 Kealakekua Bay marks the point when Captain Cook leading a group of European explorers first made contact with the local Hawaiian chiefs. Although the contact ended poorly for both the natives and Captain Cook, Kealakekua Bay remains a beautiful place to explore. We particularly loved snorkeling the shallow waters of the bay. After a picnic on the rocks of Kealakekua Bay, we hopped in the Jeep and headed further south toward Ocean View. At this point, it was clear where Hawai’i’s legendary volcano had made its presence felt. We could see where lava flows had changed the landscape, leveling small towns and even sections of the highway. 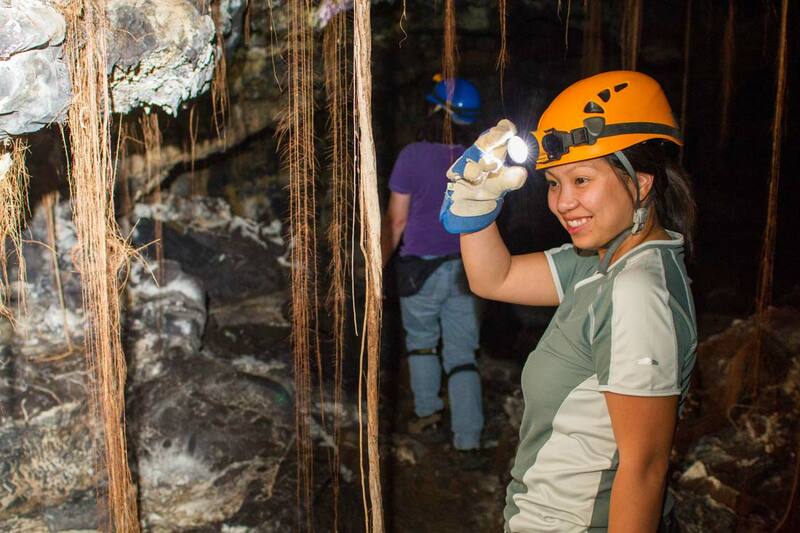 And this was precisely why we were here, to check out the lava tubes of Kula Kai Caverns. We spent an hour and a half exploring these incredible lava tubes with an amazing guide. After getting our fill of the Kula Kai Caverns, we returned to the Kona Tiki Hotel to prepare for the next day’s adventures. We woke after an amazing night sleep, and instead of heading straight out, we went back to sleep. It was amazing! Then we took off towards Pu’uhonua O Honaunau National Historic Park. But first we were going to check out one of Hawaii’s most beautiful churches. St. Benedict’s Catholic Church, is an unassuming white wooden church located just inland from Pu’uhonua O Honaunau National Historic Park. The walk up is decorated with a beautiful sculpture of Christ and Mary, and just to the side is a small cemetery. This church dates back to the 19th Century, and from the outside, it looks quaint, but far from special. But, when you enter through the main doors, a spectacular sight awaits. The walls, ceiling and pillars are all elaborately painted with colorful imagery telling the stories of the Bible. 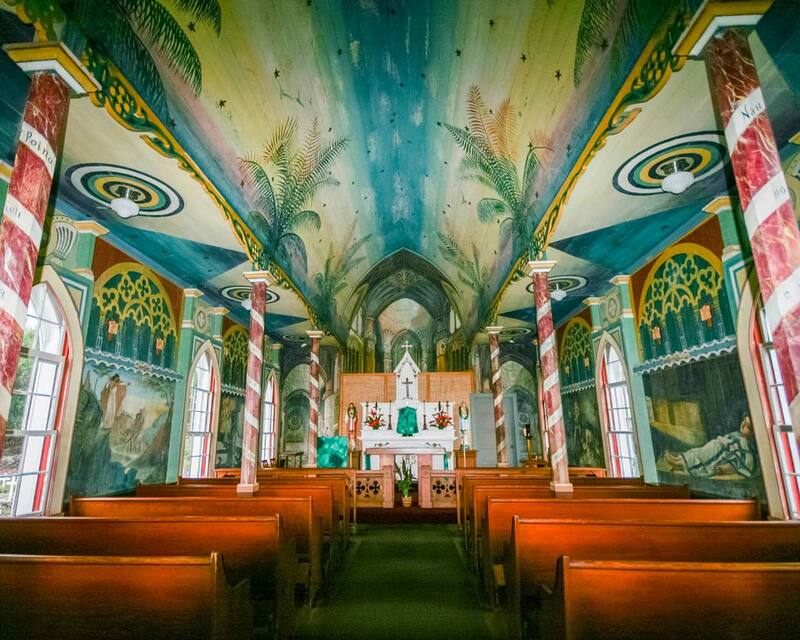 The Belgian Priest who started the church used the murals to help teach lessons to the Hawaiians who did not know how to read. We left the Hawaii Painted Church and made our way towards to coast to check out Pu’uhonua O Honaunau National Historic Park. The site was a place of refuge for local Hawaiians who, if convicted of crimes, could flee to this site to be absolved of their crimes by the resident Hawaiian priests. During battles, defeated warriors could also find refuge in this place of peace. Pu’uhonua O Honaunau National Historic Park had a stronger impact on us than we could have anticipated. Learning of the persecution and struggles as well as the generosity and power of the Hawaiian priests was inspiring. Lightened by our experience we returned to Kona for the night, but we had one more adventure waiting for us when we arrived! We were picked up at the Kona Marina for one of the coolest Big Island tours. The boat headed away from shore just before sunset. Our dive that night would consist of a sunset dive followed by a night dive where we would sit on the floor of the ocean with flashlights to attract plankton. 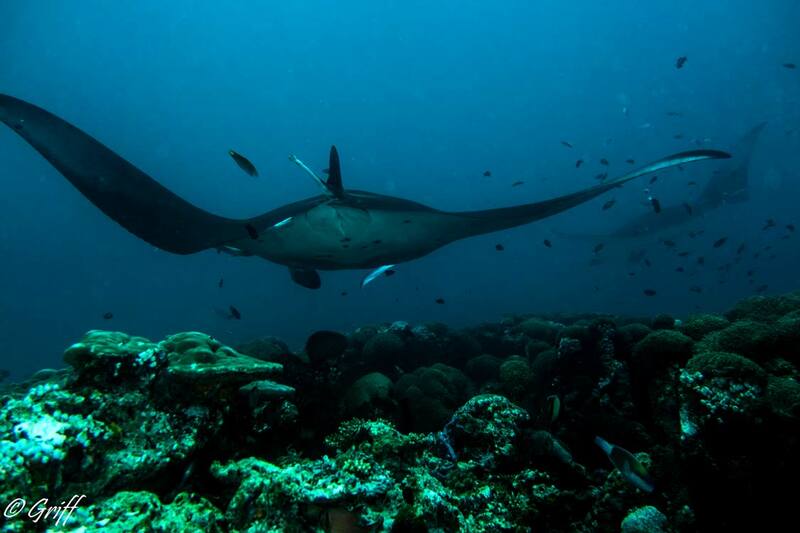 This activity attracted massive 18-foot Manta Rays to site to feast. Watching these huge, graceful creatures swim loops above us, at times even grazing our heads was absolutely unforgettable. Original photo by Ian Griffiths. Photo used under Creative Commons license. That night we slept with dreams of Rays flying through the waves in Hawaii. It was wonderful! We woke and left Kona for the final time on our Big Island vacation. 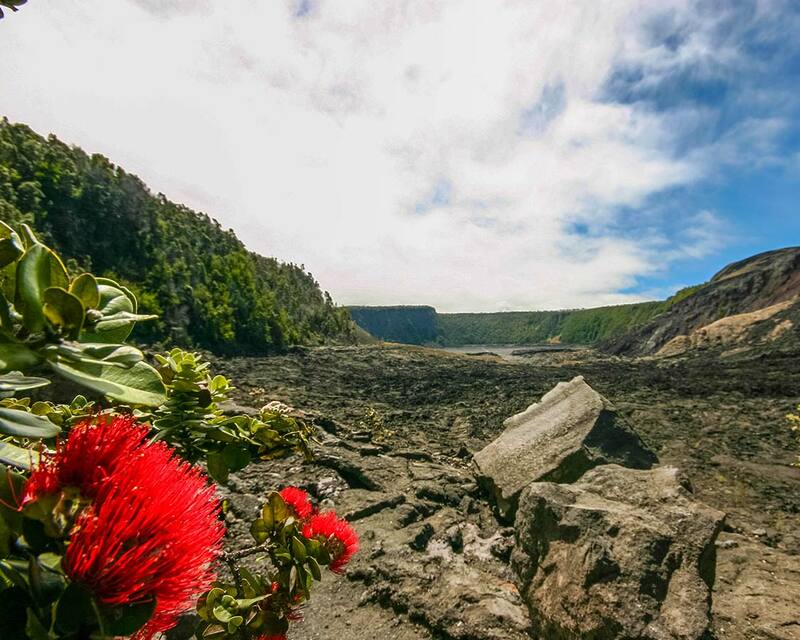 Our day would bring us towards Hawaii Volcanoes National Park. But we had some stops to make first. Our first stop was Punalu’u, located between Pahala and Na‘alehu. This rocky beach is made almost entirely of volcanic sand. It also has a large freshwater spring under the water. It’s rumoured that during droughts, Hawaiians would dive under the sea with jugs to retrieve fresh water from beneath the waves. Nearby to the Hawaiian black sand beach is Papakolea, a green sand beach that is accessible via a hike or four wheel drive vehicles (although it can be tricky to reach). Unfortunately we didn’t have a chance to visit it that day. We made the two and a half hour drive to Hawaii Volcanoes National Park without incident and were ready to be amazed. However, we soon learned about our first disappointment on the trip. 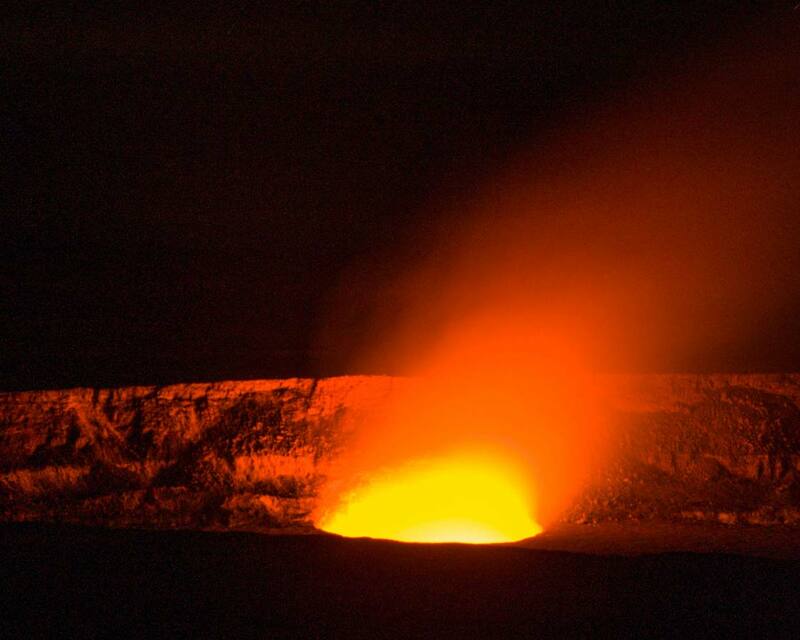 Kilauea Volcano, one of the most active volcanos on earth, that normally ceaselessly sends lava pouring into the ocean, had just stopped erupting for the first time in ages. So with hours of extra time that would have otherwise been spent hiking to the lava viewing point available to us, we were able to see so much more! We stopped at the Hawaii Lava Tree State Monument on a whim. And we are so glad that we did. This easy stroll through a forest devastated by an eruption of Kilauea was eye opening. 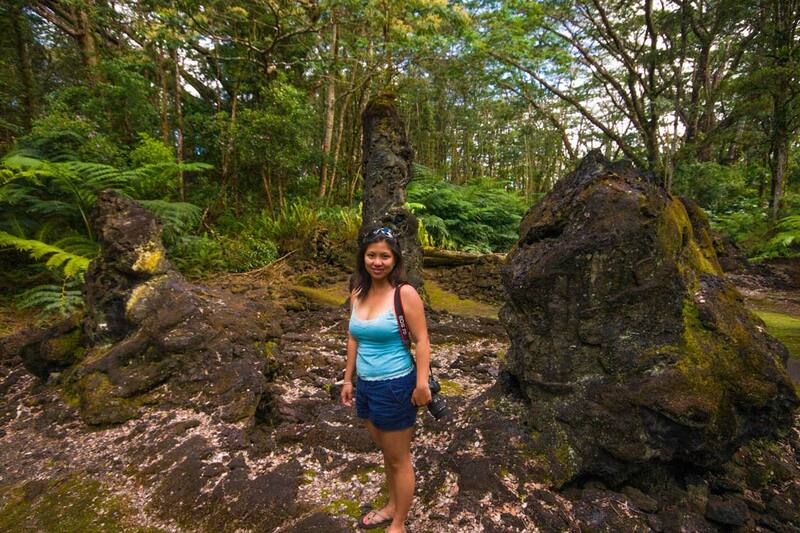 It features the remains of trees that retained their form after being covered by flowing lava from the eruption. The setting, now being covered by lush flowers and vegetation is totally surreal. With extra time afforded to us by not chasing Lava, we did the next best thing, we walked along the floor of the Kilauea volcano. Through the valleys devastated by the eruption, where the ground was literally steaming beneath our feet, to the overlooks that showed the dramatic difference between the lush cliffs and the barren valley floors. As the sun was sinking lower in the sky, we made a mad hike towards the Pu’u Loa Petroglyphs. 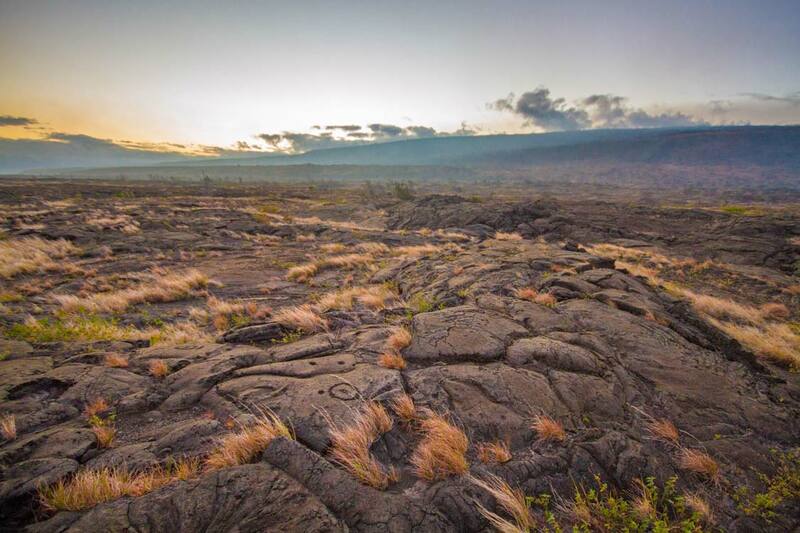 The walk out to these Hawaiian petroglyphs can be a bit treacherous at night due to the uneven footing. And we had not brought any flashlights! But when we arrive just before sunset, the spectacular site of these ancient stories carved into the lava rock was more than worth the risk. When darkness fell, we made our way to Halemanumau Crater. This pit crater located near the summit of Kilauea was the closest we would see to lava in Hawaii. The next morning we opted to take a slightly cooler route from the steaming hot fields we trekked through the day before. We started our morning with a stroll through the Thurston Lava Tubes. 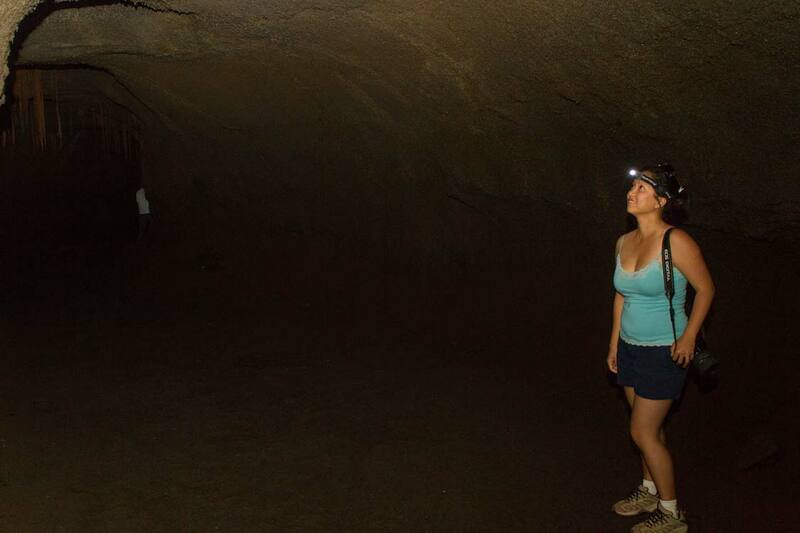 Located about 1/2 mile from the Kīlauea Iki overlook is Nahuku, or popularly known as the Thurston Lava Tube. This spot is free to visit and the first portion is well lit. Although the lights end suddenly, so if you want to explore further, you’ll need headlamps. 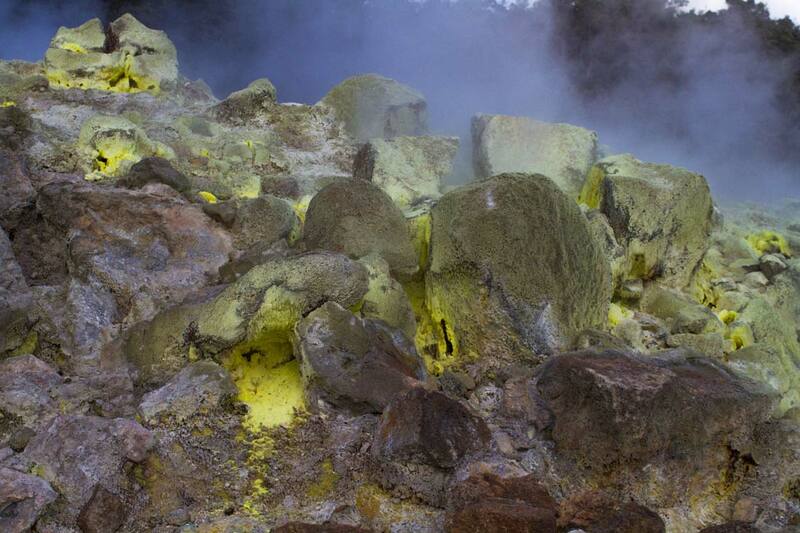 It’s hard to believe that just a few hundred years before, lava was pouring through these tubes. 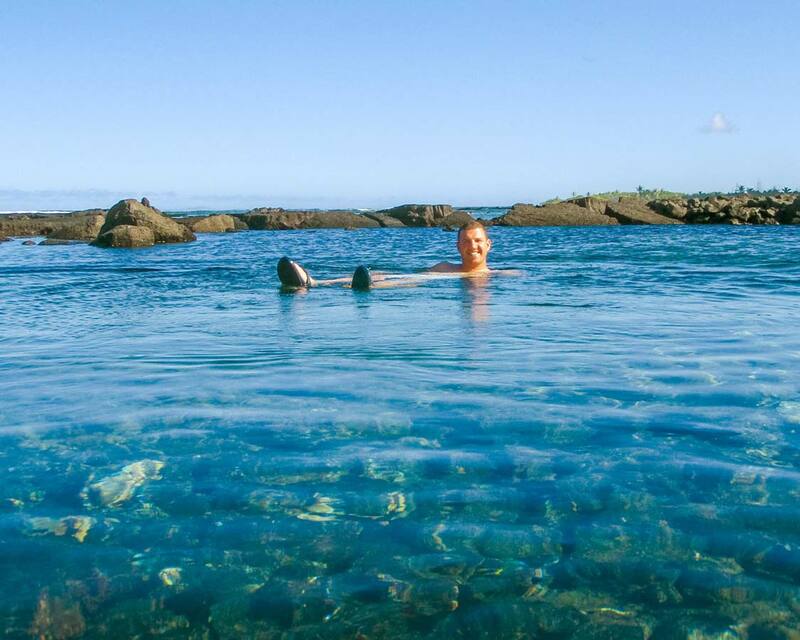 The Kapoho Tide Pools on the Hilo side of Hawaii is a maze of lava formed tide pools that is a great spot to relax while avoiding the crashing Hilo waves. 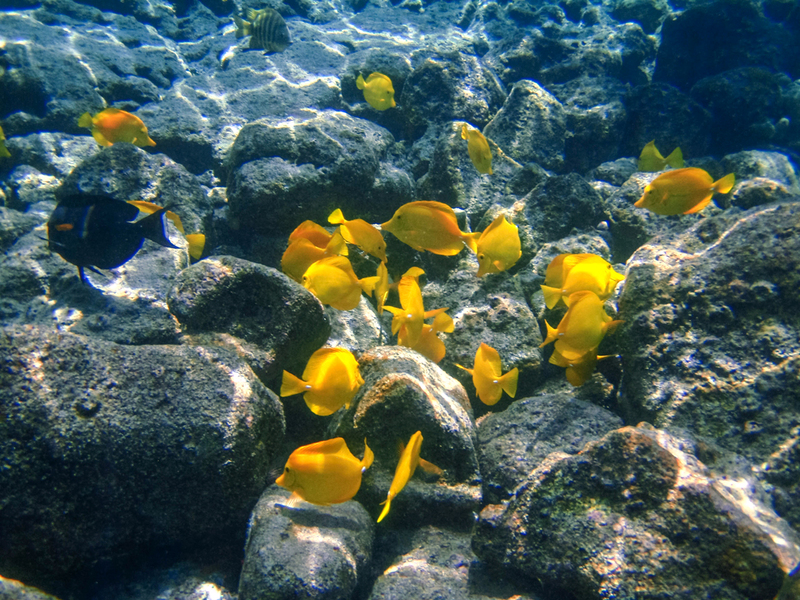 Some of the tide pools are large enough for snorkeling. While others are perfect enough to pass as a couples hot tub. After relaxing for hours in the tide pools, we made our way to our final stop on the Big Island, the Equus Hotel. Our flight to Honolulu was early the next morning. But the memories of the Big Island will be with us forever! Have you ever been to the Big Island of Hawaii? Tell us about your favorite locations on the island! There is so much diversity on this island and you captured it all. I need to get back and snorkel with those mantra rays. Love this! We were in Kauai last month and these beautiful pictures make me want to go back. I love that each island is so unique with wonderful places to explore and family-friendly activities. Wow, you covered a lot of ground! We were there a few years ago and loved our stay, especially stops like Akaka Falls and the Volcanoes National Park. It’s easy to see why Hawaii has become synonymous with paradise!